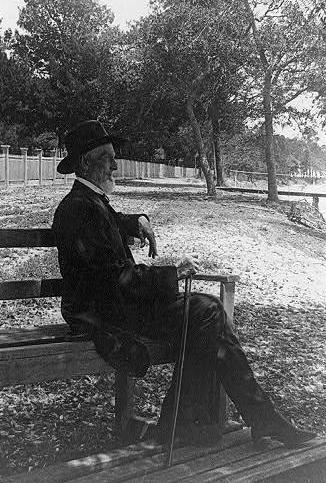 Jefferson Davis Publishes "The Rise and Fall of the Confederate Government"
In 1876, he promoted a society for the stimulation of U.S. trade with South America. Davis visited England the next year, returning in 1878 to Beauvoir (Biloxi, Mississippi). Over the next three years there, Davis wrote The Rise and Fall of the Confederate Government. Having completed that book, he visited Europe again, and traveled to Alabama and Georgia the following year. The Rise and Fall of the Confederate Government is a book written by Jefferson Davis, President of the Confederate States of America during the American Civil War. The book did not make much money during Davis's lifetime, but it provided for his widow after his death. Davis wrote the book in defense of his fellow Southeners, the people and the government of the Confederate States. He started writing it after returning from England in 1879 and had it published in 1881.